Foldable Nubian Copper Meditation Pyramid 4 feet Base and the height is 72inches for self-healing. This full set is the best and cost-effective in the whole world. This pyramid can be assembled and disassembled within a minute without any additional tools. 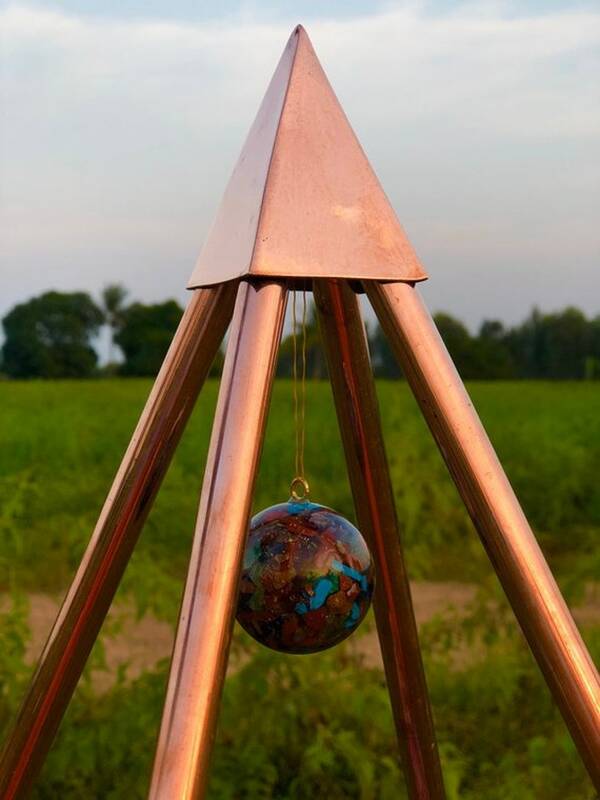 This pyramid is a powerful personal tool, the base meditation pyramid to achieving deep meditative states and accelerating healing on the spiritual, mental, and the physical levels. Many sleep in the Healing & Meditation Pyramid to improve their sleeping patterns and for inner peace and healing. Shipment will be sent through FedEx priority services within 2-3 business days.